Three coats of Healthy House Paint by Denver-based nanoscience company Synavax don't just embellish a house--they insulate it. The zero-VOC coating uses patented technology that incorporates a nanocomposite that the company calls Hydro-NM-Oxide, which lessens heat loss and gain by up to 34.8 percent, according to third-party testing. Like any paint, it can be rolled, sprayed or brushed on (inside or outside) to achieve lower energy bills (customers report 20% - 40%+ reduction), prevent mold and mildew growth, reduce your carbon footprint, give surfaces a "stay-clean" quality, protect exteriors from UV damage and fading, reduce moisture damage issues, and not add to air pollution with no and low VOC products. "In our patented coatings and paints, we've managed to incorporate that special insulating component (which is also water-repelling) into a coating system that allows it to be easily painted onto surfaces," says Synavax vice president of training and specifications Francesca Crolley. It is suitable for indoor and outdoor applications on multiple surface types, including wood, brick, and drywall. The paint is currently offered on the company's website in clear, white, and custom colors to coat fresh or already painted surfaces. 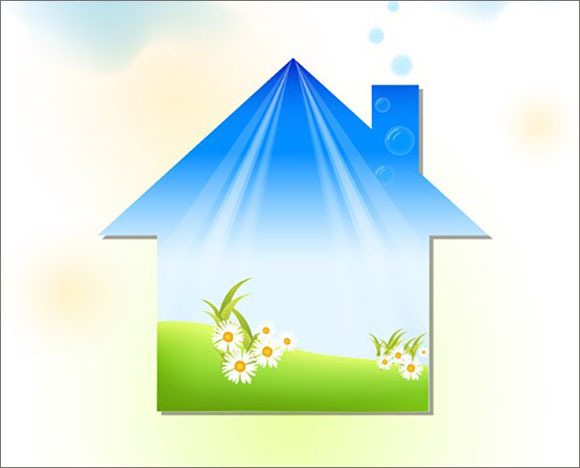 You can choose home insulating coatings in clear, white (tintable) or in a custom color that can deliver to your door. All of them are low odor. Occasionally there may be a very slight "wet paint" smell when the paint is first applied, and this will go away once it dries. The paint is completely non-toxic, and water based. This entry was posted on October 4, 2017 at 2:42 PM and has received 917 views. Print this entry. This digital tool allows you to measure the angles or slopes on the job with a high degree of precision. You can work it through the app, a tablet or cell phone camera. You will be able to measure a variety of slope forms and can choose to directly measure the surface by the second mode, which makes it relatively easy to measure up, or to measure the angle of the target a short distance away from you. PlanGrid is an intuitive application allowing you to share plans, annotations, photos and reports instantly. Use PlanGrid to reduce repeated trips to the trailer, minimize rework, and find answers faster through instant collaboration. Keep everyone on the current set and manage all your construction documents without relying on paper. Use Pitch Gauge© to calculate the total size and slope of any roof. It includes two digital slope finders and a square calculator. Find slope without ever leaving the ground using camera-mode. Then, take a picture with the pitch reading and current address stamped onto it, and attach it to an email for your own or the insurance company's documentation. Ride sharing isn't just for people any more. Now, builders, remodelers, and DIYers can schedule a truck through a new free iOS app. Since its recent launch, Truxx has been used for everything from moves across town to large purchases at retail stores or online community sites like Craigslist. Just like on-demand ride-sharing services such as Uber or Lyft, Truxx enables users to schedule and rate drivers, make cash-free payments, and provides driver background checks. Truxx also has unique features like driver location services, in-app messaging, and gives drivers the ability to book multiple jobs. This entry was posted on October 4, 2017 at 2:34 PM and has received 770 views. Print this entry. Keeping everyone on the same page and in the know is hard. But streamlined, effective, re-al-time communication means fewer errors, a better experience for your employees and cus-tomers and a better reputation. BuilderTREND was created especially for the construction workspace to connect everyone involved in a project (from the builder, to the contractor, to the customer) with every single detail--every step of the way. It features automatic updates and real-time notifications that allow builders to manage projects, collaborate, and com-municate with subcontractors, vendors, project managers, and customers. Ever wish you had an extra project manager on site to help you evaluate, bid out, and complete a project? Now you have one in your pocket. Co-Construct is a project management tool for home builders and remodelers that stores all the information you need to build or remodel a home. The app can be used at every stage of a project's lifecycle, from the initial bidding process through to completion and beyond. Use it to create project estimates and proposals, invite and manage bids from subcontractors, store all your plans and specifications, track project costs, schedule and manage jobs on the worksite, create and manage change orders, update your accounting data, and manage punch list items on completed projects that are still under warranty. Features •	Reduces paperwork at every stage of your project: from proposal to completion. •	Improves communication with your clients and subcontractors. •	Includes bid management, cost management, and labor management tools. •	Syncs with QuickBooks to create invoices and cost forecasts. •	Allows you to manage all your projects from a single dashboard. If you are an engineer, it is highly likely you use some form of AutoCad in your daily life. This design software makes sketching out your ideas a breeze and it's also offered in a mobile app allowing you to view and edit DWG files on your mobile device. This entry was posted on April 21, 2017 at 1:55 PM and has received 1034 views. Print this entry. Being able to quickly and easily create estimates for customers using an estimating app is critical. The difference between gaining a new client and losing a potential job often hinges on how quickly and professionally you can turn that estimate around. With JobFLEX, there's no tech savvy needed. Deliver estimates on the spot, with or without a cellular connection. Create and edit customizable forms, then just drag and drop line item costs, materials, and photos. When you're finished, preview, email or print the estimate with one tap. If you need a screw database, iEngineer is the answer. The app has a comprehensive list of U.S. and metric screws, including dimensions for different head styles, material grades, and different screw sizes. For U.S. screws, the app has a catalog of 93 different screws from #0 to 4-in. They are categorized by their nine different head styles including flat, oval, hex, and truss along with 29 material grades ranging from different SAE and ASTM standards. The metric catalog has over 200 metric screws ranging from M1.0 to M100. The most helpful information comes in the form of advised torque, lubricated torque, and clamping force for the screw chosen. This will help engineers determine installation requirements. For over 50 years Pantone has been the international language of color. This app now gives you access to the entire Pantone catalogue of over 13,000 colors and makes it easy to create and share color palettes. Capture and extract colors from photos and snap to the closest Pantone color. The app has been developed based on IEEE 1584 Guide for Performing Arc-Flash Hazard Calculations as an easy to use and comprehensive tool for calculating incident energy and arc flash boundary, determining limited, restricted, prohibited approach boundaries and hazard risk category required by NFPA 70E, NEC / CEC and OSHA when work is to be performed on or near the energized equipment. This entry was posted on February 9, 2017 at 9:46 AM and has received 1084 views. Print this entry. Field Supervisor from Bentley Systems provides construction field workers with onsite views, personalized for their specific project roles, into multiple project data, ensuring real-time decisions are made using the most relevant and current information. At the same time, it eliminates the risk of relying on potentially outdated printed materials. Field Supervisor connects to multiple project data sources, including Bentley's ProjectWise system of collaboration servers and services and eB, which controls information throughout the lifecycle of change. This allows users to directly access secure electronic documents for inspection and confident decision making. Archisketch, formerly Archipad, is a new iPad sketching app by Urban Design that's ideal for architects, interior and product designers. While there are many sketching apps on the market, what makes Archisketch unique is that it's scale aware. Once you set the scale of your drawing sheet, the drawings will be completely scaled to the real world, even down to the line thickness. In addition, Archisketch has many other features that cater to architects and designers, including layer rotations, shape and freehand drawing tools and more. Archisketch is easy enough to use for professionals and non-professionals alike. Similarly, it has a tiered pricing structure--it's free to download for small projects. As projects become more complex, the user can buy a subscription for however long or short they need the app for. ENGINEERING PROFESSIONAL combines all of the formulas from our Chemical, Civil, Electrical, Environmental, Hydrology and Mechanical Engineering formulator apps. This program is perfect for any Engineering student. Over 650 formulas allow you to determine everything from calculations on shafts to calculation on loads on beams. This one app lets you calculate the widest range of calculations. In addition there are 100 conversion formulas, as well as a section for determining Area formulas. All formulas can be saved. You can easily access recent or favorite formulas. You can also e-mail the results from any formulas. While we regularly upgrade and add formulas to the underlying programs, ENGINEERING PROFESSIONAL will be expanded as well. We expect ENGINEERING PROFESSIONAL to eventually grow to over 1,000 formulas. This entry was posted on September 14, 2016 at 3:34 PM and has received 1178 views. Print this entry. Translucent concrete (light-transmitting concrete) is a concrete based building material filled with optical fibers that run from one end of a poured piece of concrete to the other. Effectively transmitting light due to fibers running through prefabricated blocks and panels, concrete is given a new look without sacrificing its strength and durability. The fibers can transmit light to over 50 feet and, as they occupy only a small percentage of the total concrete block or panel, they do not significantly affect the structural capabilities of the poured pieces. This results into a certain light pattern on the other surface, depending on the fiber structure. 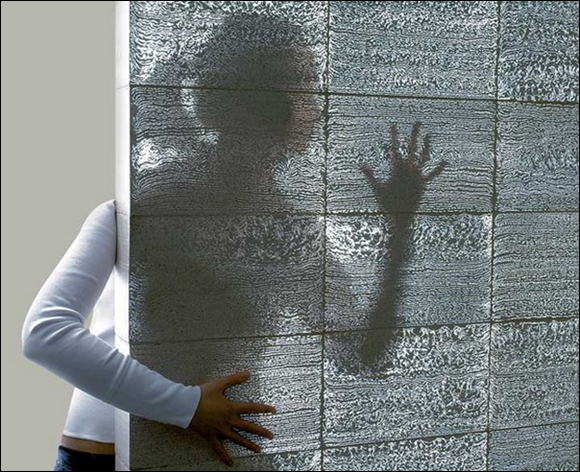 Shadows cast onto one side appear as silhouettes through the material. The fibers can also be used to create lettering, pictograms and "light patterns" in the concrete. Colors and light remain remarkably consistent from end to end, but with a natural variation from the pouring process that actually softens the effects considerably. This entry was posted on September 14, 2016 at 2:00 PM and has received 1584 views. Print this entry. Baseboards are traditionally used to cover the intersection between walls and floors. They protect against damage from feet, vacuum cleaners and other objects and they hide imperfections in levels and finishing. But they also collect dust, may not be the most attractive finish and you may want to consider alternatives. Low profile, square baseboards for a more modern effect. Depending on your choice, the baseboard can be emphasized by detailing or coloring so it stands out or can be the same color as the wall or floor. It can be in various materials and can be designed to align with doorframes, windowsills or cabinets. The baseboard is incorporated into the base of the wall rather then being fixed to its surface. It therefore still fulfills the function of protecting against knocks but minimizes the problem of dust collection. As for an applied base, it can be in various materials and colored to either blend in with the wall or floor, or to contrast as a feature. A flush base can provide a clean transition to stairways or similar areas. A flush base is more complex to install, with the need to keep the wall and base properly aligned. The finished wall surface and the base should also be fixed to the same underlying material to prevent cracking of the joint over time. Rather than hiding the joint between the floor and the wall, a reveal seeks to emphasize it. A clean edge is provided as a shadow line, created by inserting a strip of metal or plastic between the floor and the wall base. The reveal itself can contrast with or match the color of the wall and requires both intersecting surfaces to be precisely aligned for a clean finish. It is usually only suitable for areas that aren't likely to take a lot of knocks. This is the ultimate minimalist approach, with nothing covering or filling the gap between the wall and the floor. It provides a clean look with fewer areas to collect dust and fewer materials for the installation. Damage to the wall base is more likely. To achieve the finish you require, care must be taken with planning and installation. The alternatives can add complexity as well as cost to the project so you must think through what you're trying to achieve and test the outcome thoroughly. This entry was posted on August 14, 2016 at 4:38 PM and has received 1344 views. Print this entry. Environmental design is often associated with the inside of buildings and how they work. However, a true holistic approach will consider the whole site and that extends to landscaping. Construction in general has many impacts on the environment, economy and human health, and that's equally true of the site generally as well as the buildings on it. Landscaping materials use resources in their extraction or manufacture, when transported to site and during installation and use, causing pollution, waste and possible health problems. So great care should be taken with the design of the site to ensure it's as environmentally friendly as possible, both during construction and when in use, to reduce negative impacts. Recycling any construction waste, whether within the site or elsewhere, such as using rubble as the base for paths. Reducing Water Use and Wastage. Water is an increasingly scarce resource in some areas while at times it can cause problems of flooding, soil erosion and compaction. Meet the relevant challenges by using permeable paving and other materials that let water soak through, collect rainwater for irrigation and select plants that reduce the need for watering. Using Sustainable Materials. By using the principles of reduce, reuse, recycle, you can limit the amount of materials going to landfill. Rather than treating the lifecycle of materials as a linear process that starts with extraction and ends with disposal, it becomes a circular process that avoids the use and processing of new materials each time, with resulting savings in energy use and pollution. Also try to source materials locally if possible since this saves unnecessary transport miles as well as supporting the local economy. For new wood products, ensure they carry FSC or PEFC accreditation so you know they originate from sustainable forests. Preserve Existing Features. It isn't necessary to totally clear a site before redeveloping it. Where possible, retain existing features that fit in with and enhance the overall design, particularly native plants that support local ecosystems. Sustainable landscape design is increasingly demanded by clients who are keen to contribute positively to the local environment. However, it can also save construction costs due to the reduced use of new materials and can save operational costs through reduced water use. Some cities even offer landscaping rebates to homeowners who upgrade their land in a sustainable manner, so there are financial incentives for being green. This entry was posted on July 24, 2016 at 5:37 PM and has received 1148 views. Print this entry. Construction is often seen as a conventional industry that largely uses traditional methods. However, many businesses are using exciting and innovative techniques, and becoming familiar with them will help you provide a better service to your customers and gain additional work. Modeling techniques that provide a virtual view of the finished project can ensure complete customer satisfaction and avoid expensive mistakes. By letting the customer see exactly what they will be getting, you can be sure it's what they want and will be able to make required changes before getting too far. safer working through reduced exposure to the elements. use of better materials, such as concrete that self-repairs cracks to prevent harmful emissions and better insulation to prevent heat loss through walls. Technology is featuring more and more in construction, leading to better sharing of data between all parties involved in a project. That results in better collaboration, reduced duplication, quicker resolution of issues, smoother progress in general and overall cost savings. Effective asset mapping shows where equipment needs to be installed in a building and, once there, means all features of that equipment can be recorded. By connecting to real-time software, performance can be monitored, maintenance undertaken when needed and operating costs can be reduced. The availability of 3D printers using concrete and composites means companies can produce forms that are not possible with traditional methods. This allows many different styles to be incorporated and reduces building costs through automated processes. Integrated systems enable smart buildings with automated building controls available to property occupiers. This leads to better security, improved environment through more adaptive controls and, overall, a more efficient building. Depending on the size of your company, many of the more complex innovations may be beyond your capabilities. Nevertheless, you need to be aware of what's possible so you can serve your customers to the best of your ability. Additionally, you'll often work with others and you have to be prepared so you can contribute to the overall success of the project. This entry was posted on July 5, 2016 at 9:49 PM and has received 1343 views. Print this entry. Getting work is challenging but being paid for that work is equally important. In fact, unpaid work is worse than no work because you'll incur expense and effort with no reward. You must ensure you get paid for everything you do, and promptly, so you retain profitability and have sufficient money to pay your workforce and suppliers. In the construction industry, you have the protection of the mechanics lien that allows you to seek payment from other parties and to claim on the project site as collateral for unpaid debts. However, this requires you to issue a preliminary notice of claim early in the project and be willing to take action should things go bad. Generally, you don't want to resort to the mechanics lien to recover a debt. It's far better to be paid in the normal way because this ensures a more constant cash flow and avoids hassle. This doesn't necessarily require a lot of effort and mainly means adherence to basic business principles. Build a Good Relationship with Customers. It's good practice to establish first-rate relationships with customers because they're more likely to provide further work. It also helps with payment since customers are more likely to pay first the suppliers they rely on and use regularly. You need to build a feeling of trust, which requires you to do what you promise, respond to questions and sort out problems quickly without fuss. Set Out Terms Clearly. Ideally, every job should be covered by a contract that's signed by both parties. This will set out clearly the service you will provide and when, the cost and when payment is due. When billing the job, state clearly on the invoice when payment is due and set out payment methods. Be Prompt. Make sure you get the job completed by the stated time and, when done, submit your invoice straightaway. Any delays give an easy excuse for late payment that some customers will exploit. Stick and Carrot. Encourage prompt payment by offering a settlement discount, such as 5% for payment in seven days, and imposing a surcharge when payments are late. Make these terms clear in your contract and on the invoice. Chase Late Payments. When customers are late in paying, make sure you follow up quickly. If you use billing and accounts payable software, this can often generate automatic reminders but, if that has no effect, make a phone call and ask for payment. Always be polite but don't be afraid to push hard because it's your money and the customer is at fault. If the customer still fails to pay after several attempts, don't hesitate to use the mechanics lien or other means to get paid. Construction is an industry where profit margins are generally low, which makes it more important you don't lose out on payment. Make clear what is expected, complete your side of the deal and follow up relentlessly if the customer doesn't comply. This entry was posted on June 19, 2016 at 1:26 PM and has received 1159 views. Print this entry.